Funeral services will be held on Thursday, August 11, 2011 at a 12:00 PM Mass of Christian Burial in St. Elizabeth Seton Catholic Church for Capt. William Andrew Domingue (USN Ret. ), 80, of Lafayette Louisiana, who died in his home on Monday, August 8, 2011. Entombment will be in Calvary Mausoleum. The Very Reverend W. Curtis Mallet, JCL VG, Pastor of St. Genevieve Catholic Church, will be the Celebrant of the funeral Mass and will conduct the funeral services. 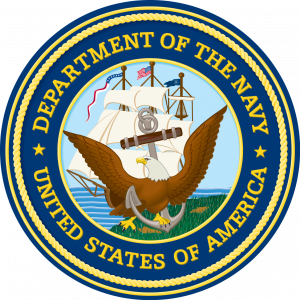 Known to his Navy friends and associates as “Duke” and his close family members as “Tee,” he was born in 1930 in Lafayette, Louisiana and graduated in 1948 from Lafayette High School. In 1952 he was awarded a Bachelor of Industrial Arts degree from the University of Southwestern Louisiana. He joined the United States Navy through the Naval Cadet Program in July of 1952 and received his commission as a naval aviator in Pensacola, Florida in March of 1954. He completed his flight training in Kingsville, Texas later that year, and a few years later, served as a flight instructor at the Naval Air Station then located in New Iberia, Louisiana. During that time, he met and married Mary Ann Escagne of Jeanerette, Louisiana, to whom he was married for 50 years. Over his proud 28-year career in the Navy, he served in various command positions with squadrons including HS-3 and VX-1 in places such as Quonset Point, Rhode Island, Virginia Beach, Virginia, Key West Florida, Patuxent River, Maryland, and Corpus Christi, Texas. 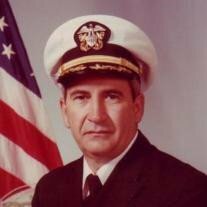 In his final tour of duty before his retirement from the Navy in 1980, he served as the Executive Officer of the Naval Air Station, Corpus Christi, Texas. After retiring from the Navy, he became the Deputy Director of Aviation and eventually the Director of Aviation for the Lafayette Regional Airport, where he served until his retirement. He is survived by his wife, Mary Ann Escagne Domingue, and his two children, Camille A. Domingue of Lafayette and Damian Duke Domingue of Flat Rock, North Carolina. He is also survived by two sisters, Leora Fusilier and Lucille Hebert, both of Lafayette, and two brothers, Jack Domingue and Valrie Domingue, Jr., also of Lafayette, as well as numerous nieces and nephews. He was preceded in death by his mother, Anna Verret Domingue his father, Valrie Domingue, Sr., and his eldest brother, Robley “Shine” Domingue.